Iemants was assigned the contract for the engineering and construction of a railway viaduct that is part of a new start station for the Erasmus line in The Hague. 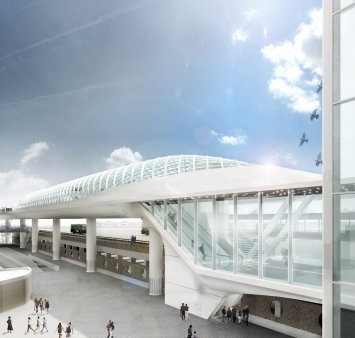 The Hague Start station Erasmusline (HSE) will be a new stop at the Central Station. This is where the start and terminus of the Erasmus line are located. This metro line connects Rotterdam with The Hague. Trams will arrive at the station via the viaduct, which has a total length of approx. 323 m and is supported by steel columns.